BOAT LOVERS! 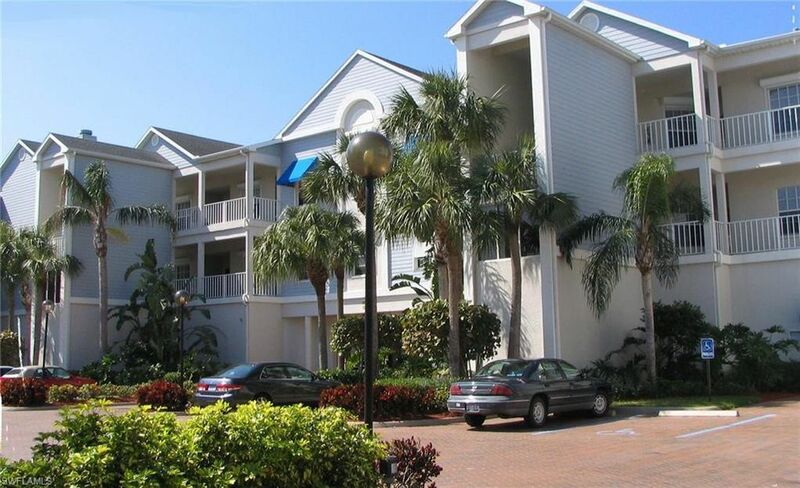 BRING YOUR BIG TOY, up to 50' SAILBOAT OR POWER BOAT to this 3 BEDROOM CONDO (RARE) in the Best Boating Community in the Fort Myers Beach area. BOARDWALK CAPER has 250 slips/300 condo units, in deep and wide protected waters just one mile from the Gulf and Beaches. Enjoy spectacular SW Florida sunsets and great view from your spacious lanai overlooking the boardwalk and Hurricane Bay. This unit has great bones...glassed lanai and Hurricane shutters throughout. Walk in laundry room, large double lanai, BOAT DOCK INCLUDED #153 is 17'-6 x 50' and is 5 min from Dock to Gulf. Located in the newest and in the premium Building VI in Boardwalk Caper with extra amenities, all block construction, under building parking, private storage room, elevator, private member's lounge, enclosed bicycle room, and exercise rooms. Other community amenities include one mile of lighted double boardwalk for morning/evening walks, tennis, basket ball, shuffleboard, bocce ball, 4 pools, spa, community room for parties and events, beautiful landscaping and spectacular views of Hurricane Bay and awesome sunsets. Vacant and available for quick closing. Call for your private showing today!